A few weeks ago, I shared a post with you about tonal using off bass drums and how to tune them to fit the rest of your element. 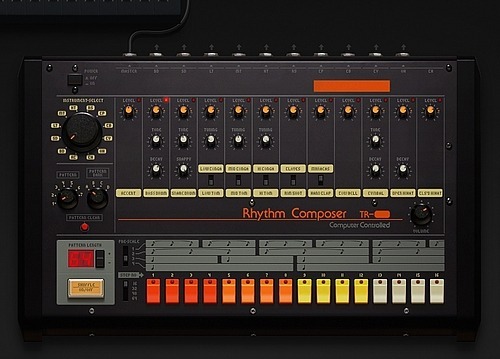 Today, I’m sharing a NI Massive preset of one of the most popular bass drum sounds ever – The Roland TR-808 bass drum. A lot of you guys might have the TR-808 as samples, but this one’s totally customizable and tonal playable on your keyboard. Check how to create the 808 Kick in NI Massive and how it sounds like. There’s only OSC 1 for this patch, so I change it to Sine-Square, set the Wt-position completely to the left and tune it down two octaves. That’s nothing special at the moment and it’s only a low sine tone at the moment. Now, I add envelope 1 on the pitch of OSC 1 and tune it down three octaves. Envelope 1 is pretty short with fast attack. This will give the characteristic pop noise at the beginning of the kick. Now, I’m adjusting envelope 4, which is like the master envelope of the whole patch. I gave it fast attack to make it sound like a kick and long decay to let the bass sound fade out after the kick. If you want your kick more roomy or tight, just change decay, level and release of the envelope. Set the voicing to monophonic and legato to avoid more than one note being played at once. If you want to, you can add a bit of EQing and that’s it. From here it’s up to you. Play around with single parameters of add effects and filters to your patch. Here’s an example using a daft filter on this patch. Hope you like this little patch and can use it in your production and here’s the cool thing: Just play the kick on right note and it will fit the rest perfectly. Thanks for the nice words, Ashton. Once you’ve got this simple setup for kicks, you can play around by using other oscillators, filters and FX to create custom kicks.